Second Floor Walkup: April Showers bring May...Veggies! With our first full spring/summer in the new apartment, I was excited to start planting vegetables and herbs on our patio. Then, I realized I knew nothing about starting a garden! For expert help, I went to my friend Kate Mason Kraszewski, of Mason's Heritage in Maryland. In her guest post, she answers some frequently asked questions about starting a garden, with an emphasis on urban gardening, and offers her tips of the trade. My husband and I love to cook together, and one of the best ways to create the perfect meal is to use fresh, local ingredients. In my opinion, one of the few ways to guarantee this is to grow the ingredients yourself. While this might seem like a daunting task in New York City, you’d be surprised at what you can do with a small space. If you’re living in the city and interested in growing your own vegetables and herbs, now’s the time to start thinking about what you want to plant. 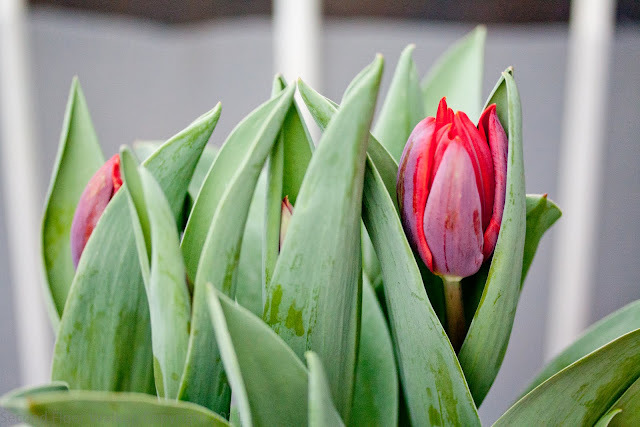 According to Cornell University’s Department of Horticulture, the average day for the last frost in NYC is April 10-20. If you want to start your plants outside, you should wait until this time so that the new seedlings don’t freeze. 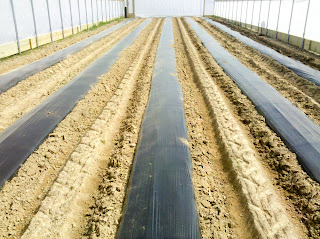 Or, if you’re really eager, you can always cover the plants with a sheet or tarp until they start growing. If you have good windowsill space, you can start your seeds inside before then and simply move them outside after the last frost. Where should I get my seeds? You have a couple of options when it comes to purchasing your seeds. For one, you can purchase them through a catalog. I would recommend doing this only if you are a more experienced gardener. Seed books are very extensive and going through the thousands of possibilities can be a bit confusing. You can also go to your local garden center or nursery for seed packets. This is a better option for beginning gardeners because you’ll have the ability to ask questions and learn more about their various products. Or, if you want to bypass starting your seeds from scratch, you can visit your local farmers’ market to buy transplants. This has become a very popular option in recent years. Many farmers have transplants for sale (usually starting in April or May), and it’s a great way to learn more about specific varieties, get your questions answered, and build a relationship with that grower. 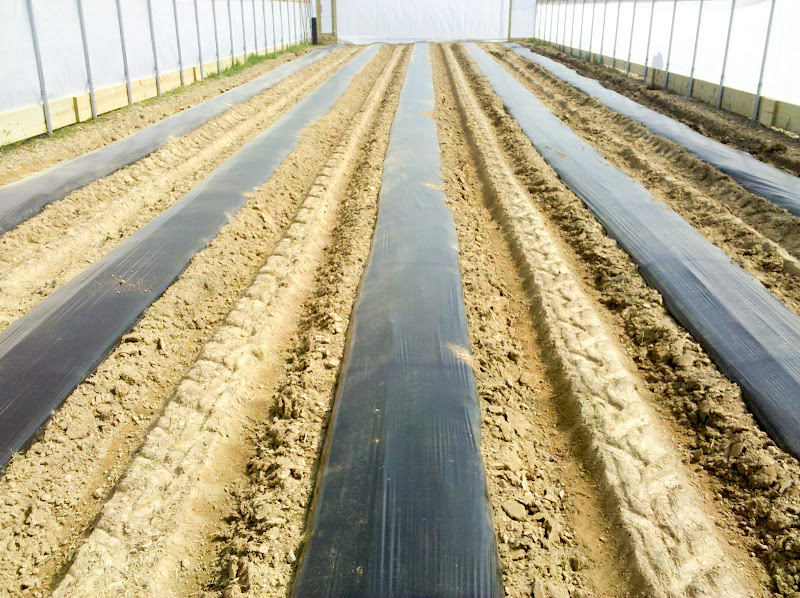 When selecting transplants, they should be mid-sized and have a healthy, green appearance. It’s best if they are not yet flowering, since this tends to stress plants following transplanting. Also make sure that the transplants have no insects or diseases on them, as this will create more problems for you down the road. It’s fairly simply to spot diseased plants; just look for pale or yellowing leaves, dead spots, or a deteriorating odor. What should I grow and how do I start? If you’re growing food in an urban setting, one of your best options is to have a box and/or container garden. The greatest part about having a container garden is having the ability to move the containers around. If your plants aren’t getting enough light in one area you can shift them around, or, if a big storm is coming you can move them indoors. For those who don’t have space to move their plants indoors during a storm (torrential downpour, strong winds), you can place small stakes around the inside of the container, then cover your plants with a piece of tarp or plastic, fastening it with tape or staples. You could even take a plastic grocery bag and put it over the container, then just set the containers as close to a wall as possible. Plants grown in containers are also less likely to have disease issues. 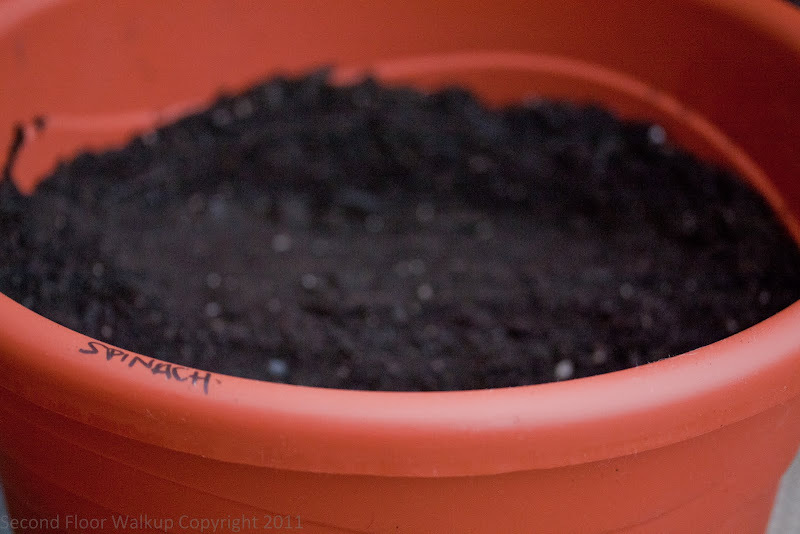 Although I can’t guarantee you’ll never have any disease in your plants, the risk is greatly reduced by using containers (potting soils, for the most part, are free of disease-causing organisms). For proper drainage, containers must have holes in the bottom. Because you’re planting in such a small space, you have to make sure you water and fertilizer your plants regularly (but do not over water them, as this can lead to disease). 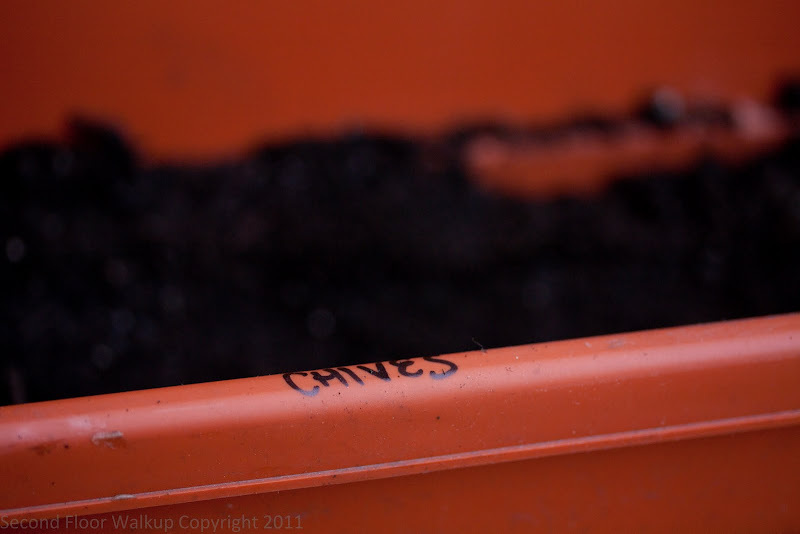 Also, choose clay pots instead of plastic because they will not dry out as quickly. One of my first suggestions about what to plant? Leafy greens. These plants are great choices for city gardens because there are dozens of varieties with different textures and tastes, the plants remain relatively small, and you can get many cuttings off of them. Generally speaking, vegetables usually need 6-8 hours of sun a day to thrive. However, greens can flourish in a semi-shady environment. They do not grow quite as quickly without full sun, but they still do well. If they are exposed to too much heat the plants will “bolt,” meaning they will go back to seed, thus reducing the number of cuttings you will get. Since greens can be harvested at almost any stage, you won’t have to wait long to enjoy your first crop. Another great way to create new flavors in your meals is to use herbs, which are also perfect for growing in the city. Like greens, herbs don’t take up much space, but they can add that much needed “punch” to what you’re serving for dinner. Since I haven’t grown a huge variety of herbs myself, I did a little research on their requirements. According to Charlotte Kidd of In the Garden Design, there are basically two kinds of herbs: those that need a lot of moisture and those that don’t. Herbs that prefer moisture-rich soil include basil, cilantro, tarragon, and parsley, while herbs that don’t need as much water, or “Mediterranean herbs,” include chives, oregano, sage, rosemary, thyme, bay, marjoram, and lavender. Moisture-loving herbs will need watering twice a week. If kept in the sun, water once a week, or every 10-12 days for herbs that like drier conditions. For the best results, the two different types of herbs should be planted separately. 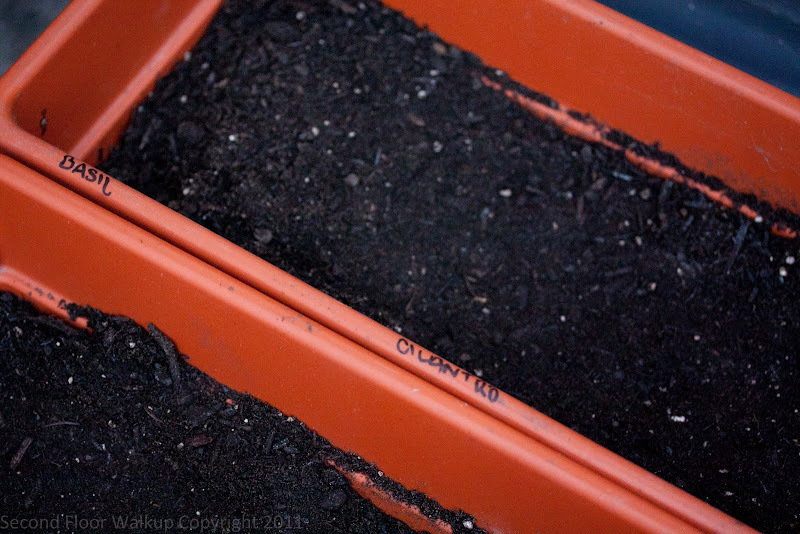 You can, however, plant various moisture-loving herbs in a larger box container and vice versa. Even though they are normally larger plants, you can grow vegetables such as tomatoes, squash and peppers in the city too. Most varieties of the these vegetables will do well in containers, although sometimes it helps to get the bush variety of certain plants, such as squash (which are usually large in diameter and take up a lot of space once they’re full grown). For these larger plants, you’ll need a container at least 12 inches wide. Depending on what type of plant you choose, especially for tomatoes, you might want to stake it once it gets larger. We always stake our tomatoes on the farm. It gives the plant support and allows the tomatoes more room to grow, plus it leaves off the ground which helps prevent disease (less stress on the plant in general). You can purchase small rods at your local garden center, or even craft store, to stake your plants with. Always plant seeds in the center of your pot and approximately ½ inch below the soil, then cover with an additional thin layer of soil. Although I have never tried it, you can also plant your tomato plants upside down if you have a place to hang them. For this approach you need a 5-gallon bucket with a lid and handle – drill a hole about 3-inches wide in the bottom of the bucket, then hang from a place where you can easily access the plant and it will get enough sun. Take your transplant and place it in the hole so that the plant is sticking out towards the ground. Holding the plant in place, loosely pack peat moss around the stem and roots until it’s about 2 inches deep, then fill the remainder of the bucket so it’s about ¾ full. The plant will grow quite large, up to 5 feet, so make sure you have enough space for it. And like all of the other plants, make sure it gets enough fertilizer. Of course, this is only the beginning. I could go on and on! 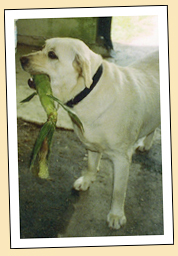 So if you’d like more specific information on plant varieties, planting techniques, harvesting, or just have questions in general, please email me at info@masonsheritage.com. Follow Mason's Heritage on Twitter and like us on Facebook! I would suggest Gardener's (http://www.gardeners.com/) for a variety of supplies. I have used their APS seed starting kit and my plants are taking off. If you are using planters, I suppose the seed starting kit is moot; I know they carry planters as well. For seeds I use Johnny's Select Seeds (http://www.johnnyseeds.com/Default.aspx?). A very nice variety and organic varieties are available. in order to promote sustainability and to push costs even lower, i recommend saving the seeds from what you eat. I'm currently growing red and green bell peppers, cherry and larger tomatoes(not like the supermarket tells you what species they are) that i bought and took the seeds out of. it's a bit tedious, but it's cheaper and i have the satisfaction of knowing my food is free(since i garbaged it in the first place).